Go to your Self Service Checklist by following these steps. 1. Go to Atlantic Cape Student Web Advisor. 2. Click LOG IN at the top of the page. 4. You will now be on the Atlantic Cape Web Advisor page. On the right side of the screen, click the Students button in the list of options. 5. 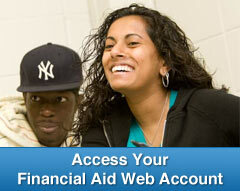 You should now see a banner which reads Current Students - WebAdvisor for Students Menu. 6. On the left side of the screen, under Financial Aid select Financial Aid Checklist. This link will bring you to the Student Self Service menu.